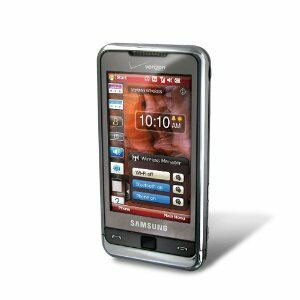 Samsung i900 Omnia is one of the high-end smart phones that can be activated for 3G networks. It is intended to be a phone / PDA combinations, and uses Windows Mobile 6.1 as operating system, and have Office Mobile Suite for viewing and editing documents. It has a large touch screen with a stylus for data entry and navigation, and has a built-in accelerometer for auto rotate the screen orientation. It also uses the optical trackpad and handwriting recognition features. Also includes an mp3 player and video, as well as the GPS receiver. Using geotagging automatically to mark the location of the photos to be taken, and a capacity of 5.0-megapixel camera with auto focus and LED flash. This can allow to synchronize email, and have TV-out and the Projector-out port to be able to display images or other documents on the screen. Another feature of the Samsung Omnia i910 phone includes a secondary camera for video calls, Bluetooth connectivity is high, the Wi-Fi and HTML browser.